The White House in Washington, in this Tuesday, Nov. 18, 2008 file photo. WASHINGTON -- A man carrying a backpack was arrested Friday night after breaching security at the White House complex and was discovered by a Secret Service officer by the south entrance to the executive residence, officials said. The incident happened just before midnight while President Donald Trump was at the White House. 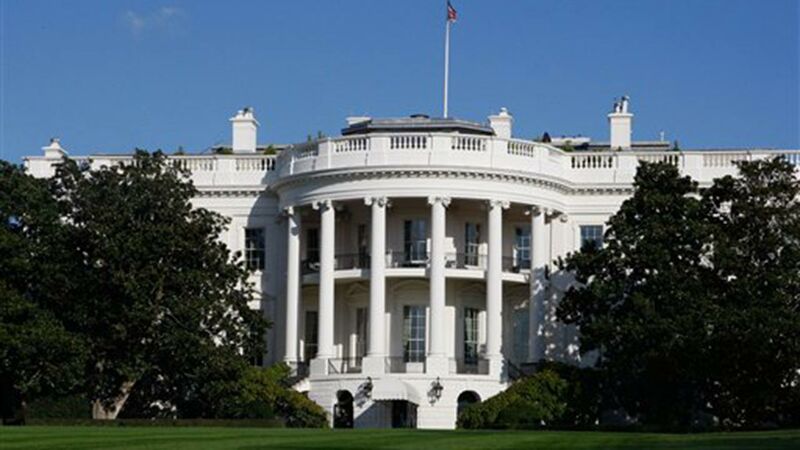 A Secret Service source said the intruder might have entered the White House grounds on the east side before making his way near the residence's south portico entrance. The White House was placed under security condition "orange," one of the highest levels of security for the Secret Service. The suspect was arrested by the Secret Service and taken into custody. The President was spending the weekend in Washington and was alerted to the incident late Friday night, an administration official said. President Donald Trump said Saturday that the suspect in the White House intrusion Friday night was disturbed, calling it a sad situation and saying he appreciates the work of the Secret Service. "The service did a fantastic job," the President said to reporters during a lunch meeting with Cabinet officials at the Trump National Golf Club in Potomac Falls, Virginia. "It was a troubled person. It was very sad." Asked about confidence in the Secret Service, White House Press Secretary Sean Spicer reiterated to reporters the good job it does, and said they have full confidence in the agency. Trump also told reporters that he was discussing military, economic and health care issues with Homeland Security Secretary John Kelly, Commerce Secretary Wilbur Ross, Treasury Secretary Steve Mnuchin and other senior officials. "The economy is doing very, very well, and in general it's doing very well," Trump said. "We had a mess, a mess, and its getting straightened out. Today we're also talking about health care, which is coming up." There have been numerous instances of people trespassing on the White House grounds over the last several years. In one notable instance in 2014, 42-year-old Omar Gonzales, of Copperas Cove, Texas, made it through the north portico doors with a three-and-a-half-inch folding knife in his pants pocket, according to the Secret Service. Gonzalez was apprehended just after making it inside the doors, the Secret Service said. The first family was not at the White House at the time. In another, the Secret Service apprehended Joseph Caputo, of Stamford, Connecticut, on the North Lawn after he scaled the fence wearing an American flag-like cape while the first family was inside the residence celebrating Thanksgiving.